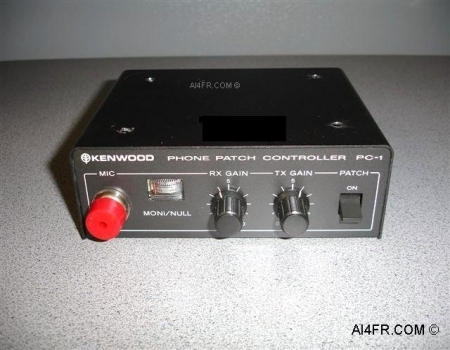 The Kenwood PC-1 phone patch provides a connection between the transceiver and a telephone line. 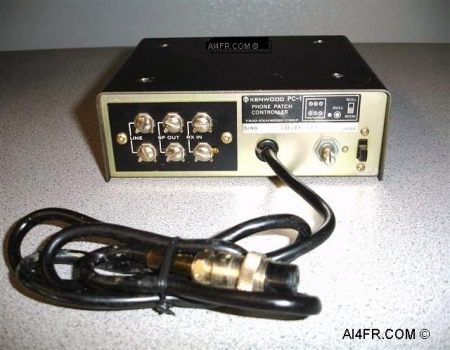 The PC-1 is designed to provide high isolation between receiver input and transmitter output. 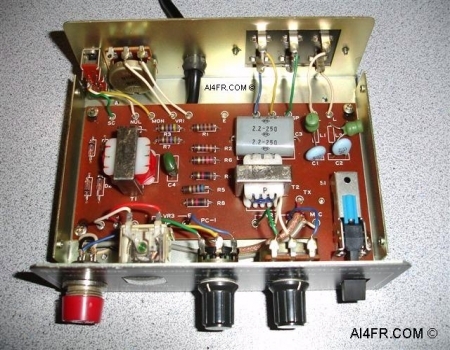 The impedance levels(nominal) are as follows, 600 ohm for the line, the receiver input is 8 ohms, the speaker output is 8 ohms and the unit should be connected to a 50k ohm microphone. The PC-1 measures in at 6" wide by 2 1/4" high by 5 3/4" deep. So what is a phone patch and why would I want one in the shack? A phone patch is a circuit that takes a telephone line and connects it to a transceiver to be used in communication. For example, far off in a distant land or out at sea there is no phone service for you to connect to a love one but they do have access to a transceiver. From the comfort of your home you call the Ham radio operator via the telephone and he can use his phone patch and get you in touch with your family. The phone patch also adds another aid in emergency communications to help insure that important information can get through. 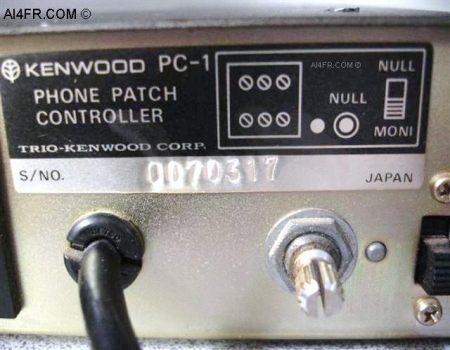 The photograph on the left is a close up of the Kenwood ID metal sticker that is located on the rear panel. On it is the model and serial number information as well as a schematic of the back panel. The picture on the right shows the internal components of the PC-1. This phone patch has all of the makings of an early computer to radio interface for digital communications and as such, should work fine if used in such a "new" way.